More than a half century ago, a small group of four dedicated women scientists worked together and uncovered the infectious germ of cancer. Rather than being received with enthusiasm, their published research was ignored, overlooked or actively suppressed by the powers that be. Dr. Cantwell presents the revolutionary published cancer research of Virginia Livingston, M.D., microbiologist Eleanor Alexander-Jackson, cell cytologist Irene Diller, and world-famous biochemist Florence Siebert, all of whom discovered an easily detectable microbe in cancer -- a germ whose existence is still denied by the cancer establishment. Unlike any infectious agent known to science, the cancer microbe has characteristics of both bacteria and viruses -- and produces a remarkable and reparative hormone that allows life to continually reproduce and renew itself. 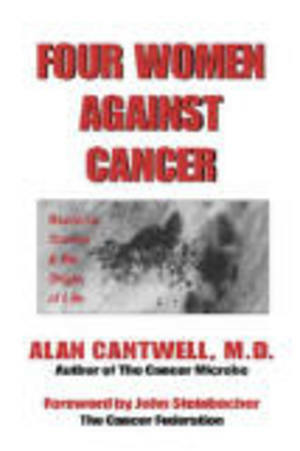 Alan Cantwell is a dermatologist and internationally known researcher in the field of cancer and AIDS microbiology. He is the author of The Cancer Microbe and AIDS and the Doctor of Death.